Top free video players for pengunistas! Honestly speaking, I have started using media player software less often. That’s probably because of the online streaming boom in the last couple of years. It’s hard to remember the last time I slid a DVD into my computer. Most of the time, I find myself binge-watching TV shows on Prime Video (it even has a free trial in India), or some random stuff on YouTube. Media players, be it for Linux or Windows, have started to lose their necessity. But, you need a Linux video player to watch the videos you shot on your phone/tablet or some other purpose. You have read about the best media players for Windows and the best Android video players on Fossbytes. I think there should be a list of best media player for Linux, too. Some would say, VLC is best for videos and songs, no matter it’s Linux or Windows. Also, it’s open source, a thing most of the Linux users would consider when choosing a good Linux media player. I would agree on that, but I think there are other video players out there which can be a noteworthy consideration when choosing the best media player for Linux. An important factor while choosing a Linux video player or audio player is the user interface. Even if a media player supports all kinds of video and audio codes, has a plethora of other features, a bad UI can ruin your viewing experience. 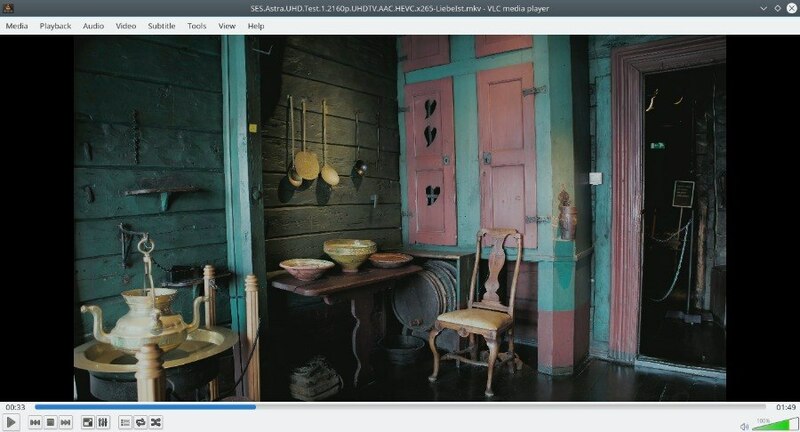 It isn’t surprising that this piece of free and open source software by VideoLAN is often one of the top contenders in the list of the best Linux media players across the internet. When it comes to supporting multimedia content, VLC can play every video and audio format known to the everyday users. No matter, whatever you throw at VLC, it’ll happily run it. However, that excludes 4K UHD videos that have recently started to populate our digital media collection. VLC can run 4K, but it lags. VLC’s user interface isn’t what I’d like to call visually appealing. But it isn’t confusing at all. The added benefit of keyboard shortcuts enhances the viewing experience on VLC. Plays digital media, Blu-ray, and directly streams videos from websites such as YouTube. The stream tool also allows you to download YouTube video. Includes audio equilizer, compressor, stablizer. Users can add various video filters and effects to the media currently playing. Supports audio and subtitle sync. Users can download subtitles using the built-in plugin. Users can change the appearance of the toolbar, progress bar, full-screen controller. Offers the ability to add custom skins. Screen capture tool to record desktop screen and save as a video file. It also supports other feeds, such as from a camera and digital or analog tv stream (with appropriate hardware). Stream local media on your PC to other devices connected to the same network. A new feature called VLM (VideoLAN Manager) can handle multiple media stream using only one VLC instance. Increasing volume beyond a limit can damage speakers. Apart from these, the makers of VLC are also working to bring 360-degree video support to the VLC on computers. How to install VLC in Linux? SMPlayer is a Linux media player that was built by putting a graphical interface built on top of the MPlayer. Licensed under GNU GPLv2, Ricardo Villalba developed the Linux media player in 2006. SMPlayer is also capable of running almost any type of audio/video media without requiring any external codecs. I would happily choose SMPlayer as an alternative to VLC. Although, it wasn’t able to play a 4K video smoothly but performed better than VLC. A well-designed UI with easily recognizable options. Built-in Chromecast support via a web interface. 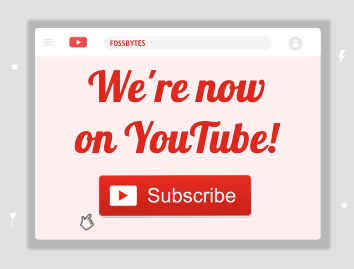 YouTube streaming support with subtitles. The user can also set the quality option in the player. Includes tool to search YouTube videos within the player. Built-in tool for downloading subtitles. Includes audio equalizer, video filters, subtitle sync, and other options. Freedom to customise the toolbar and other areas of the player. How to install SMPlayer in Linux? Born as Sonance in 2005, the open source Linux media player Banshee is released under the MIT License. It’s maintained by a team of around 300 people along with support from GNOME project which provides the infrastructure for IRC, git hosting, issue tracking, etc. Powering Banshee is a multimedia framework known as GStreamer, it handles all the processing job for various audio and video formats. Manages Apple iPod, files can be easily transferred to and from the iPod. Can be used as a DAAP server. DAAP is an Apple proprietary protocol that allows iTunes to share media on a local network. Automatically syncs names of songs played in the player to the user’s Last.fm playlist. If a video is playing the Banshee continues to run in the background even (notification icon visible) if you press the close button. However, it’s a handy feature for listening songs. The position of the progress bar in normal mode might be little uncomfortable while watching videos. How to install Banshee media player on Linux? Many of the popular Linux media players have existed for more than a decade, but MPV is currently running in the fourth year of its existence. However, it is a fork of Mplayer2 (itself forked from Mplayer). One of the prime improvements in the case of MPV was the addition of a graphic interface to make things easier for novice users. But it appears things aren’t so easy with MPV; it’ll take some time for you to use the player smoothly. Users can drag & drop audio and video file on MPV. There is no option within the player to add files. If MPV is not the default player, users can use ‘Open with’ option in a file’s context menu. Options can be accessed by clicking the MPV logo on the top left corner of the player window. A right-click on the title bar would also work. 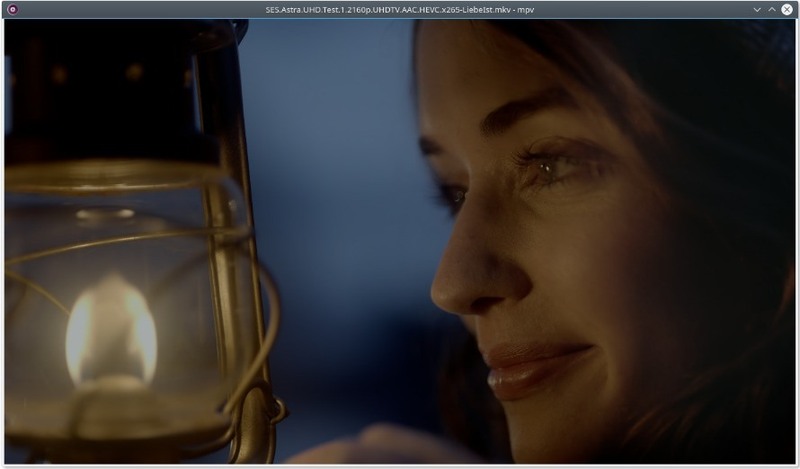 4K video decoding better than most other media players for Linux. Can be used on the command-line. Includes ability to stream videos from websites like YouTube, Dailymotion, etc., requires youtube-dl CLI utility. MPV offers an extensive set of system settings related to the position and size of the media player window. For instance, users running multiple desktops can select default screen for MPV. It’s minimalistic user interface, through on-screen controls, only allows a user to control the media currently playing. This contributes towards a non-intrusive experience. How to install MPV media player on Linux? The XBMC foundation looks after the development of the open source media player Kodi. Originally, Kodi was built as a media center software for Microsoft Xbox gaming console. 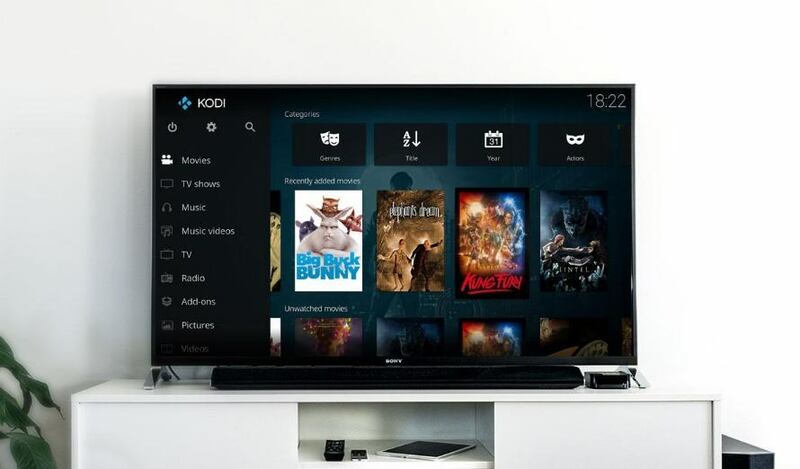 Kodi is primarily intended to run on remote-controlled set-top boxes for consuming local and internet-based multimedia content on larger displays. 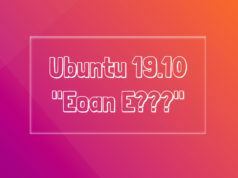 However, it can serve as a great media player software for Linux distros running on computers. One of the USPs of Kodi is the ability to include add-ons, extending the capabilities of the media center software. However, this capability has motivated many users to use Kodi for the consumption of pirated content. This has triggered concerns among the developers of Kodi, and they are planning to introduce DRM in their software. A well-crafted user interface including categories for different types of multimedia content. Filter, search and sort options for the media library. Ability to hide watched content from the media library. Built-in subtitle sync and download functionality (requires add-on). Support for AirPlay, UPnP/DLNA. Act as a web server that can be remotely accessed via HTTP. Support for joystick and gamepad. Support for Live TV, DVR (Digital Video Recorder), and PVR (Personal Video Recorder). Kodi shows detailed system hardware information with real-time CPU and memory usage stats. Support for multiple user profiles. How to install XBMC Kodi on Linux? 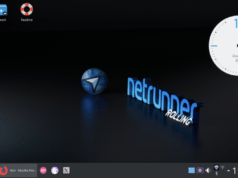 Last entry on our best Linux media player list is MPlayer, which is another open-source media player for Linux distros. 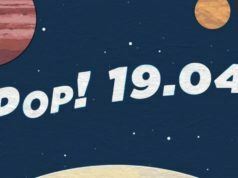 Originally, developed in 2000 by Árpád Gereöffy, based in Hungary, MPlayer was mainly a command-line application before various front ends were developed. A fork on Mplayer is Mplayer2 which itself led to the creation of mpv. Other than command-line, MPlayer can also be used as regular Linux media player with the help of the different front-ends including SMPlayer, GNOME Player, KMPlayer, etc. Earlier known as Totem, Gnome Videos comes is the default media player in the desktop environment GNOME. It first came into existence in 2003, and the GNOME project started bundled it with their desktop environment since 2005. 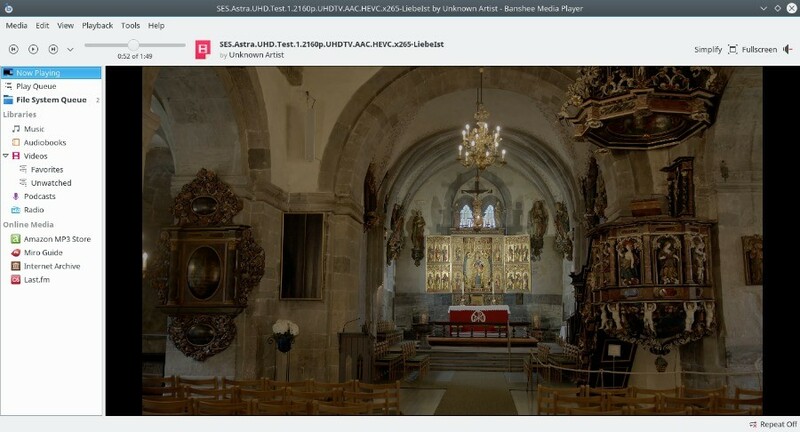 The free and open source Linux media player, Gnome Videos takes its power from the GStreamer framework for playing different video formats and DVDs. Supports all the popular media formats and playlist formats including SHOUTcast, XML, XSPF, Windows Media Player playlists, etc. Easy search option to find video and audio files stored on the hard drive. Can stream online videos from websites. Streaming videos can be made offline. Supports addition of external subtitles but no settings to fix out of sync subtitles. It has a built-in screenshot tool. New features can be added via plugins. No equalizer and mixer settings. How to install Gnome Videos on Linux? 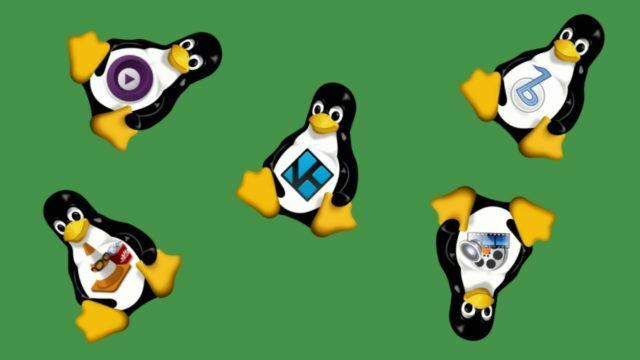 So, these were the six best Linux media player you can give a try. Although they are arranged in a list form, it would be better to try some of them to see which media player suits the best for you. 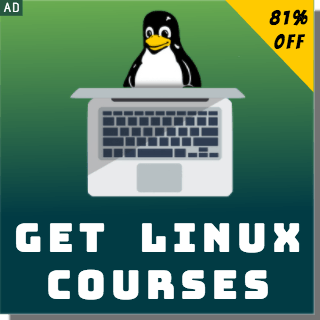 Did you find this article on top free audio/video players for Linux helpful? Drop your thoughts and feedback.